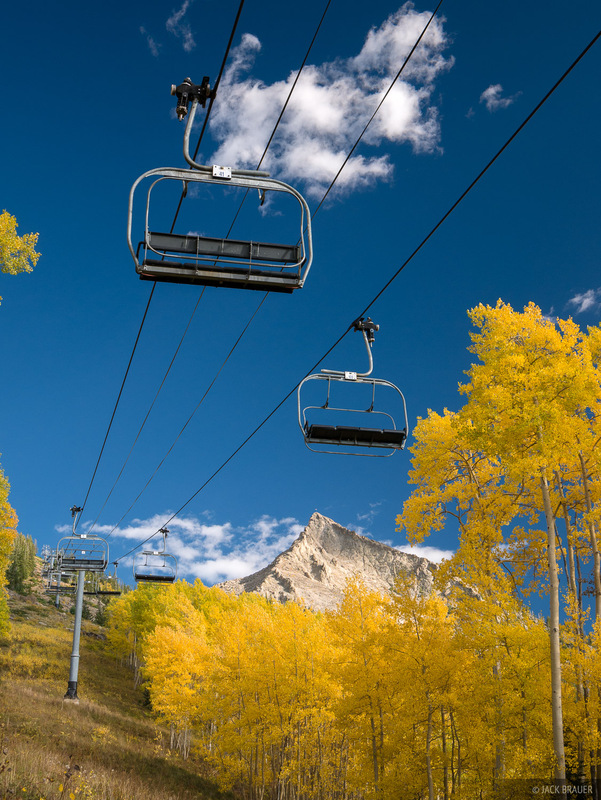 Chairlifts and golden aspens on Mt. Crested Butte - September. Photo © copyright by Jack Brauer.